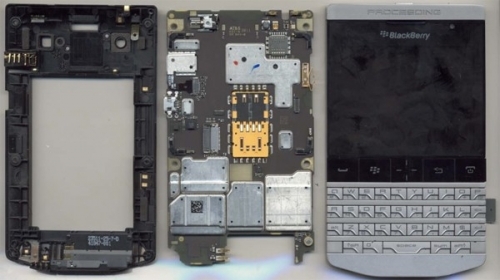 BlackBerry Porsche Design P9981 internals shown on FCC website | BlackBerry Blast! It used to be very difficult to see the inner workings of a smartphone. You had to wait for websites like iFixIt to do a tear down, but it looks like the FCC is leaking photos these days. If you go to the link below you can see the FCC listing for the P9981. You'll notice a file named "Temp Confid_Internal Photos." I'm assuming that is supposed to mean Temporary Confidential Internal Photos, yet how confidential is it if it's on their website? I supposed maybe they only list it on the website after the phone is launched, but still. In any case, if you care about the inner workings of the Porsche designed BlackBerry check out the FCC link below.